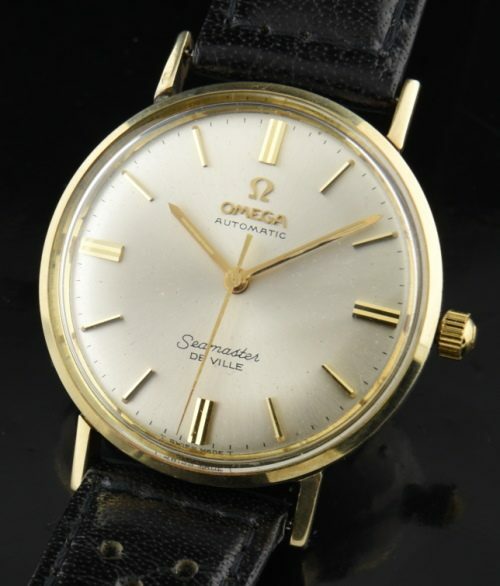 This Omega Seamaster De Ville 1970’s is a very clean and reliable vintage watch. The 34mm. gold capped case with 14k. solid gold bezel looks excellent overall. The silver dial is original and looks very good. 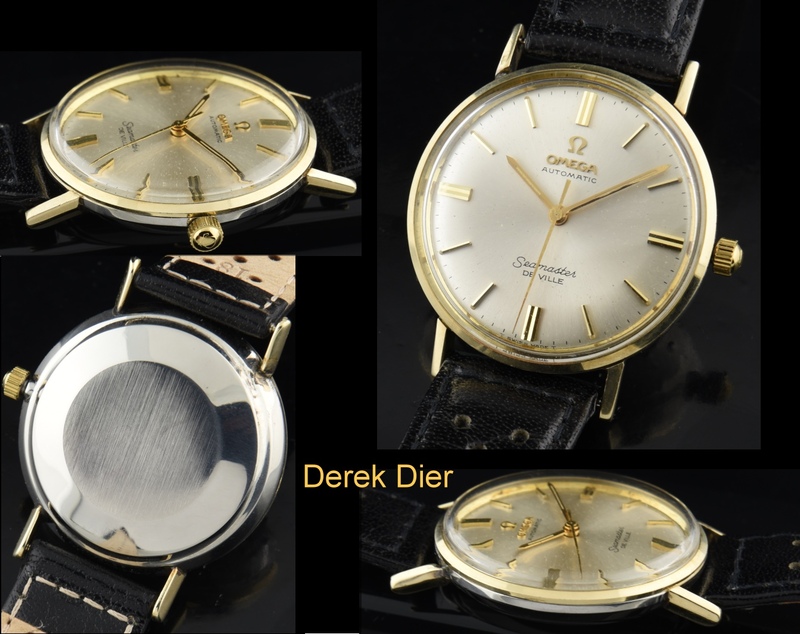 The highly reliable automatic winding OMEGA movement was just cleaned and is accurate. The OMEGA hesalite correct crystal is installed as is an OMEGA winding crown. This is a highly reliable watch that can be worn daily.